I don't have picture of Malacanang Palace, the Goldenberg Mansion and Mabini Shrine all visible when we passed by. 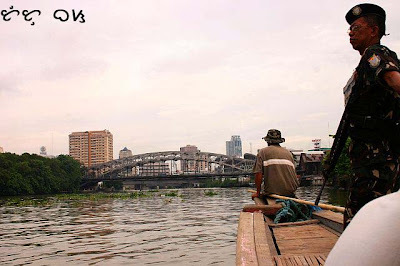 the guard alighted upon reaching Mabini bridge. Shown also on the photo are Quezon Bridge leading to Quiapo and green Arroceros Park, known as the city's last lung, haven of artists and birds, and site of a legal battle between Winner Foundation, the caretaker of the park, and Manila City government, (in)famous for tearing down heritage structures. Whatever you've shown here made me miss Pinas even more ... So much. ayos ng mga shots ah... wheeww nakakamiss nga ang pinas..
Great pictures! You really have to look clearly to see that our country is beautiful. 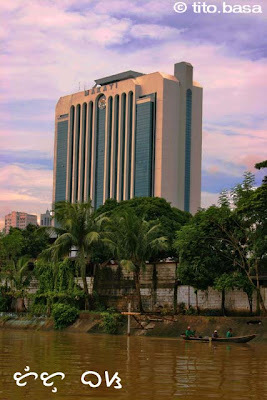 Parang Venice - especially the El Hogar and the Pacific Commercial Building pictures. Just wondering... how does it smell? di man perfect pero malaki na ang inilinis ng pasig ilong, nakakapag boat na ngayon, dati punong puno ito ng water lily at di ka tatagal sa amoy. nice pic of the river and some structures along the river. naalala ko nakunan ko na rin ng picture yung concepcion village, pero di sing tingkad ng kulay ng kuha mo. curious ako ano ibig sabihin yung isa pang water mark sa pictures mo, parang arabic ang style. needless to say, el hogar is my most favorite building in binondo. have you gone inside? yes, ganda ng stairs ng el hogar with griffins. it must've been a really grand building french-inspired. 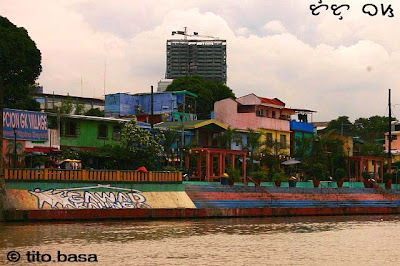 no wonder Ivan Henares is excited about walking the banks of Pasig River. He's been bugging me to go. Now, i think i'd want that tour. 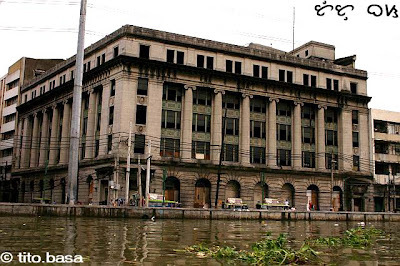 This photo has captured the El Hogar building to give a nostalgic feeling to the viewer. 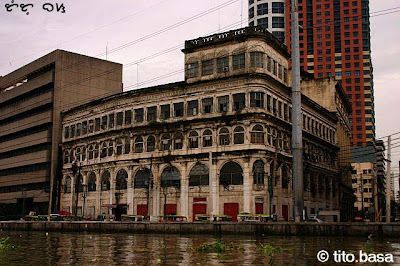 Can someone, or the city government do something to help preserve such a beautiful structure? Thanks to the photographer, a feeling of pride was instilled. HELP PLEASE!